The fact that this was the first Canal Companion to reach double figures in terms of editions emphasises the durable nature of this popular circuit with boaters and walkers alike. Featured canals on the Cheshire Ring include the Trent & Mersey north of Kidsgrove, the Bridgewater Canal, the Ashton & Peak Forest Canals, and the Macclesfield Canal. 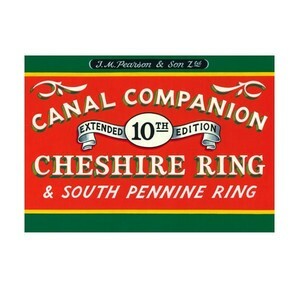 Furthermore, this guide now additionally covers the adjoining South Pennine Ring, a challenging yet hugely rewarding route combining two great success stories of canal restoration, the Rochdale and Huddersfield canals.